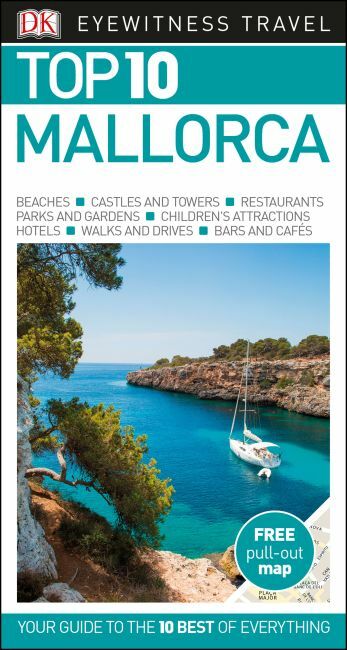 An unbeatable, pocket-sized guide to Mallorca, packed with insider tips and ideas, colour maps, top 10 lists, and a laminated pull-out map - all designed to help you see the very best of Mallorca. Wander the immense La Seu Palma Cathedral, take in the island's history at ancient Castell de Bellver, stroll through citrus groves in golden Sóller Valley or explore the spectacular caverns of the Coves del Drac. From the Top 10 beaches and coves to the Top 10 parks and gardens - discover the best of Mallorca with this easy-to-use travel guide. Staying for longer as part of a bigger trip? Try our DK Eyewitness Travel Guide Mallorca, Menorca and Ibiza.